The Port Eliot Festival is a true cultural icon. Every July, people from across the world travel to a small village in south east Cornwall to see famous faces from the realms of music, art, literature, food and more. 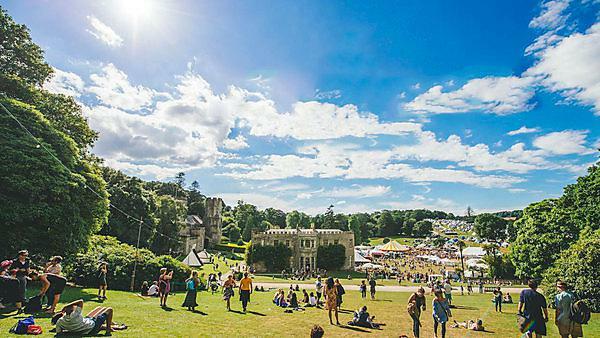 But where Port Eliot differs from other festivals is that it offers the opportunity to truly immerse yourself in its unique atmosphere and indulge in new and exciting creative experiences. 2017 marked the third year of our expanding partnership with the festival, a collaboration coordinated by the Creative Cultivator unit. Students and academic staff worked alongside established professionals to stage workshops in a range of craft and design practices, create a daily newspaper for the festival and collaborate with Creative Kernow to showcase the best of Cornish creativity. Meanwhile, academics from across the arts and sciences showcased their world-leading research as part of Science events in the iconic Port Eliot Round Room. For full event details, festival line up and to book tickets, link to the official Port Eliot Festival website. Each year Plymouth University supports and gets involved in the Port Eliot Festival. We run events, talks and workshops and create opportunities for our students to get involved. Closer to the event we will reinstate our What's on page with further details.